Nick’s “Make It Pop” quickly became one of my favorite TV shows this year, and I can’t wait until season 2 premieres! I remember reading online that many viewers were anxious for a handsome Asian guy to be paired up with one of the leading ladies in season 1. My first choice would have been SHINee…. because I’ve been a big fan of theirs for quite while. 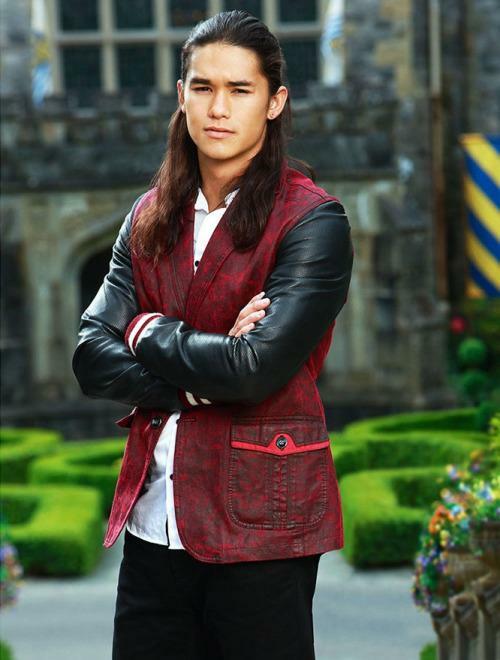 Realistically on the Hollywood acting front, I really believe cutie pie Booboo Stewart would be a fabulous guest star on the show. I loved him in “Like A Country Show” (even though he deserved much more screen time) and he reminds me slightly of Jason Scott Lee in one of my all time favorite films “The Jungle Book”. The “Descendants” actor has that great mixed blood line that can play a variety of roles, and I really want to see him take the stage with XO-IQ. Nickelodeon and Disney need to join forces and make it happen! All rights to the image belongs to Disney. This entry was posted in Entertainment, Movies, News, TV and tagged Booboo Stewart, Descendants, Disney, Make It Pop, Nickelodeon. Bookmark the permalink.